Recycling solutions provider Andritz has received an order from Pyrum Innovations AG, Germany, to supply a complete tyre recycling plant for their thermolysis facility in Dillingen in the south of the country. The plant will process car and truck tyres with a maximum diameter of 1.2 metres and a width of 30 centimetres. Start-up is scheduled for spring 2019. 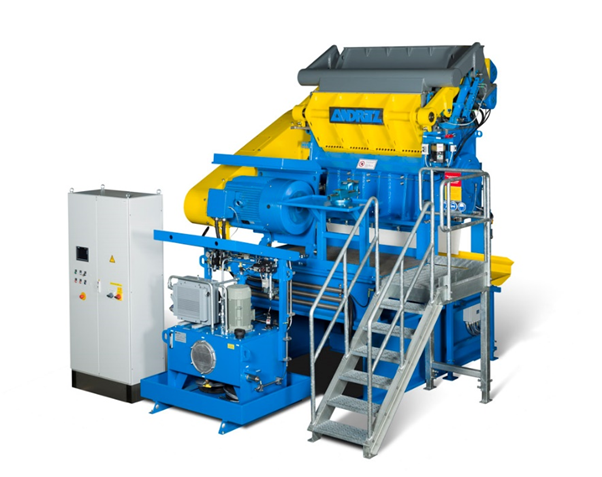 In the first section of the plant, the used tyres will be shredded by an Andritz Universal Rotary Shear UC1300. The slowly rotating, twin-shaft cutter unit is suited to powerful pre-shredding. The material is processed further in the Andritz Universal Granulators UG1600S and UG1000H. The variable size of holes in the granulating screen mounted underneath the rotating knife blocks determines the extent of granulation as well as the throughput. In the final section of the plant, the Andritz Universal Cutting Mill USM1000 will further granulate the material into the required particle size of 6 mm or smaller. The facility will have the capacity to produce around one tonne of rubber granulate per hour. This material will then be converted in the thermolysis plant into oil, gas, and coke. Andritz supplies the entire conveying, separating and screening technology, it is also responsible for the supervision of installation and commissioning work. Pyrum Innovations AG is a recycling technology company with locations in Germany, France and Luxembourg. The company’s main activity is the engineering and construction of recycling factories based on thermolysis technology. Thermolysis is the thermal decomposition of organic substances (or of rubber and plastic waste) in a low-oxygen or oxygen-free atmosphere. During this process, waste is transformed into oil, gas, and coke to generate energy or heat in a self-sufficient cycle.